That satellite image is from August 26th. One day before that photo was taken! 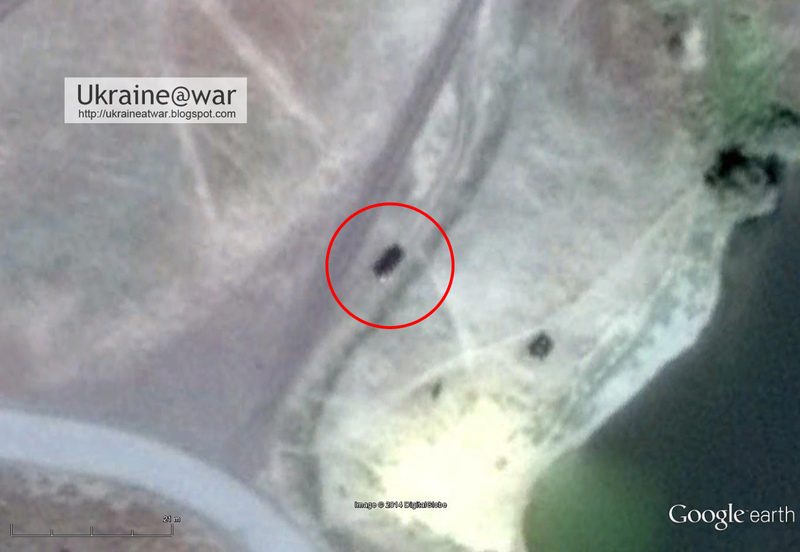 So maybe the Pantsir is still there? August 31st image shows it's gone again. So it is a vehicle, not a building. It has dimensions that fits with a Pantsir. That location is NOT a typical road that leads from A to B. 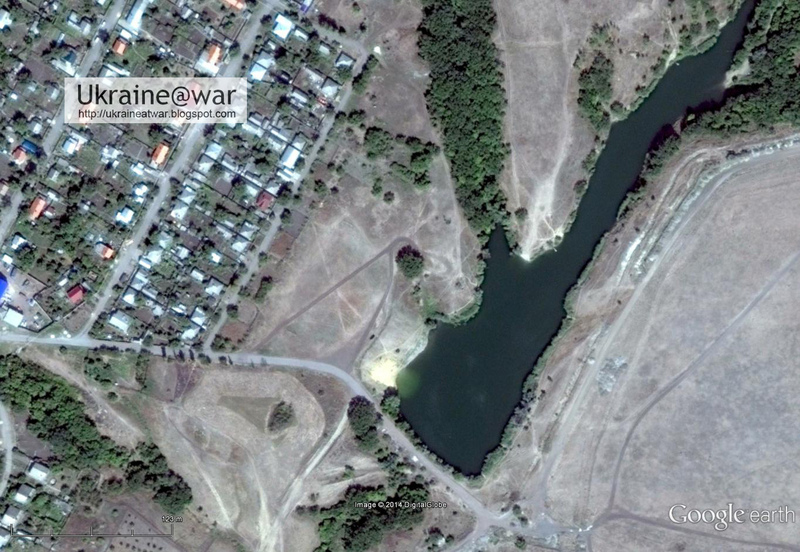 It is a hidden position near a lake. So definitely this is a firing position. It is even relatively close to a residential neighborhood. Russia doesn't even care about it's own citizens... if there ever would have come return fire on this thing. The distance is some 18 kms. This might be within operational range, which means these systems could have connected to communicate with each other and share information about air traffic. 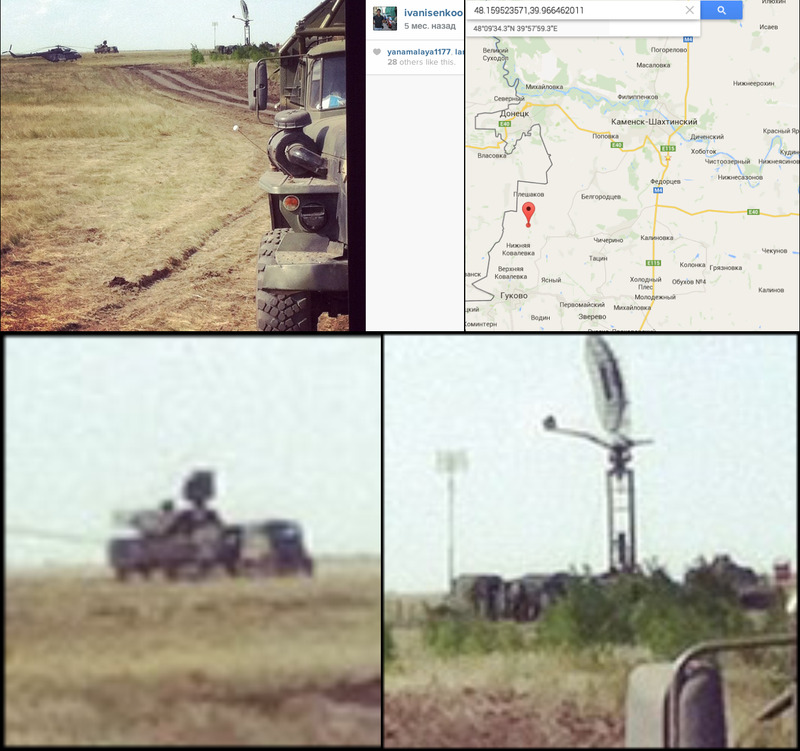 So it must be clear that Russia has Pantsir anti-air systems on the border with Ukraine in attack positions. 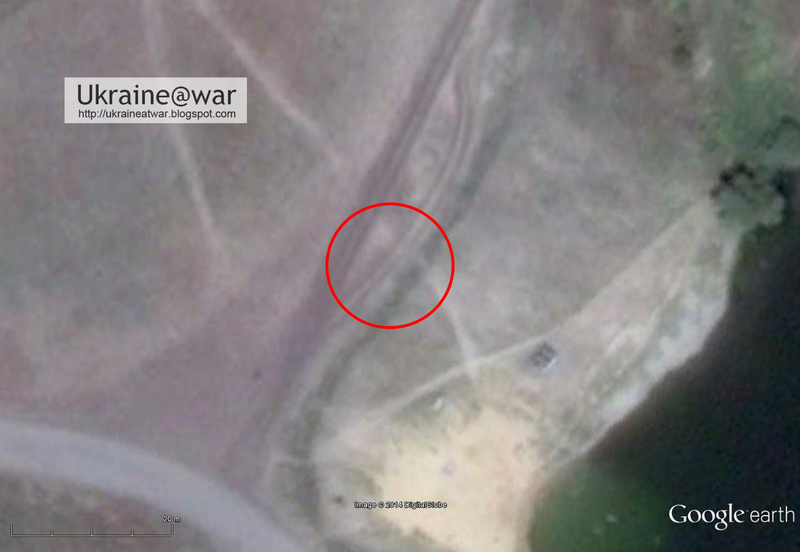 This puts new light on the downing of the AN-26 on July 14th (3 days before MH17). It has always been thought that a BUK brought it down, since that was the only thing capable of doing so and present in the area. 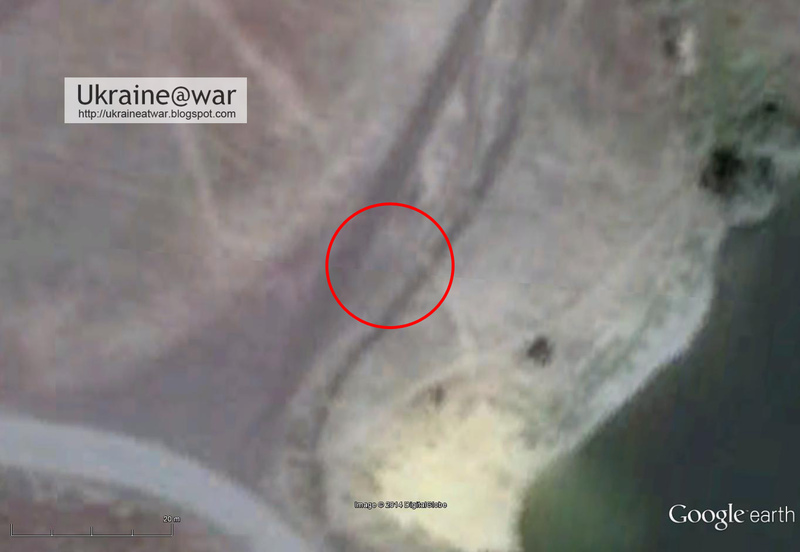 But now it is clear that a Pantsir(-team) is in the area, it may very well have been a Pantsir that did this. See this blog about the AN-26. 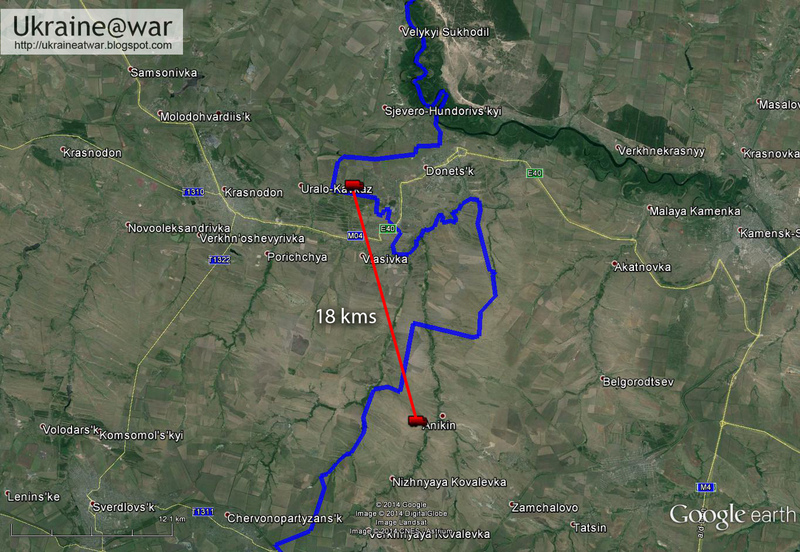 This also indicates that the BUK that brought down MH17 may have connected to a Russian radar on Russian territory, since it's distance to the Russian border was also some 17 kms.